Learn how a delivery manager can take your project to the next level by improving results and streamlining communication. A delivery manager may share similar responsibilities to that of a project manager. However, delivery managers bring so much more to the table. Our delivery managers go above and beyond to deliver a successful and quality project; this is accomplished by assisting our clients to think critically over their product requirements, ensuring consistent and valuable communication is present throughout the project and working with our clients to maintain an active role in the development cycle. 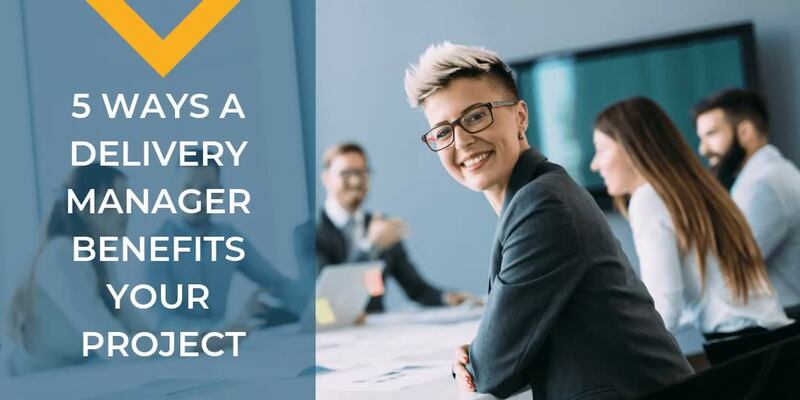 Rather than just ensuring the project stays on course and within the budget like you’d see with a typical project manager, our delivery managers take a personal interest in each and every project they are involved with to ensure its success. One of the most significant areas of concern when entering the beginning stages of a project’s development cycle is whether or not you will be able to provide a consistent flow of work to the development team. Being able to provide the development team with constant work is invaluable; it increases productivity ensuring your project is completed as quickly as possible and allows more frequent opportunities to get involved with the development of your project and take an active role in fine-tuning your requirements. A primary responsibility of our delivery managers is to assist with requirement identification. This is to ensure that you are not only able to stay a few steps ahead of your development team but to also drive the highest level of detail within each requirement. A delivery manager will ensure that any pressures or concerns that may arise during a development cycle are handled quickly and effectively to provide you with the smoothest experience possible. At QAT Global, it is essential for us to provide the highest level of communication possible to our clients. It leads to a higher level of transparency throughout the duration of the project which gives our clients a greater sense of involvement in the process. To accomplish this higher level of communication, our delivery managers are always striving to manage the communication needs between our development teams and the requirement drivers within the client’s organization. Translating technical concepts and terminology between technical and non-technical members within the team and ensuring everyone easily understands those concepts is a critical aspect to their role within the team. Our delivery managers not only care about ensuring product requirements have been identified and thought through, but also about the overall product vision. Sure, anyone can accept a new project, identify a list of requirements and start development; but with QAT Global our delivery managers are focused on ensuring that your product’s vision is sound, well thought out, and forward thinking. We want to make sure that our clients are happy with our results for as long as possible, not just for a few years until a new technology comes along and you already need to make an upgrade. With our delivery manager’s, we’re able to foresee the ever-changing landscapes of the technical world and make well-informed decisions regarding our client’s product vision and the technologies used within it. Delivery managers are an outstanding resource that will have an incredible impact on the success of any project. By going above and beyond what a typical project manager would do, they ensure that a project is set up to succeed. Each benefit that we’ve covered is part of the management “stack” or toolkit that each delivery manager brings to the table. Through their valuable contributions to a project, we’re able to ensure the success and quality of any deliverable we produce all while staying within budget and following agreed upon deadlines. Ryan Stephens is a member of QAT Global's development team in Omaha, Nebraska.